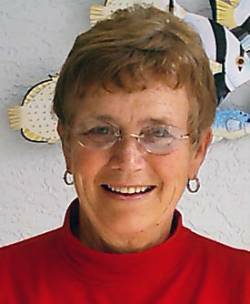 Deanna H. Kendrick, 80, passed away peacefully Wednesday June 21st, 2017, at Big Bend Hospice after a lengthy illness. Deanna was born in Belleville, Ontario, June 9, 1937, the daughter of Patricia and Harry Halsey. She graduated from the Royal Victoria school of Nursing in Montreal in 1957, and started her nursing career at Mary Fletcher Hospital in Burlington, VT. She worked for pediatricians in St. Albans, eventually retiring from Mousetrap Pediatrics. Deanna enjoyed bridge, and was an avid tennis player and golfer. Deanna was pre-deceased by her parents, sister, Susan, and her husband of 58 years, John. Surviving Deanna are her son, John Halsey Kendrick, daughter, Heidi Sieloff and her husband, Eliot, and grandchildren, Benjamin and Allison. A private service is planned. To send Deanna’s family a written expression of sympathy, please go to her on-line guest book at www.healdfuneralhome.com.